Justice League has wrapped filming, and Jason Momoa, who plays Aquaman, commemorated the event in true Jason Momoa fashion, with a shirtless Instagram pic. 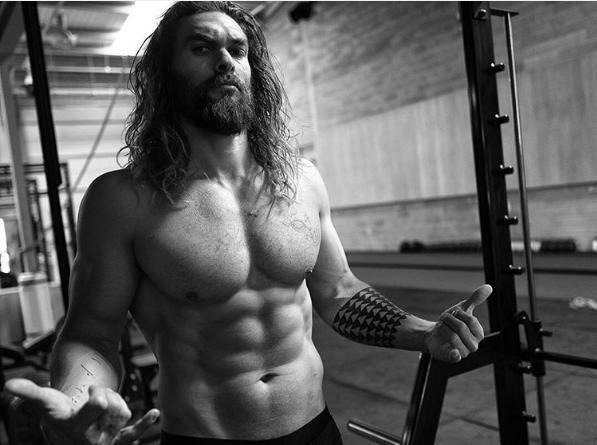 The actor, sporting a full beard and long hair, shared the black-and-white gym selfie on Sunday, along with a message to the Justice League cast and crew explaining his absence from the wrap party. Could this mean that Khal Drogo will return from the dead to fight the White Walkers? Sorry, Game of Throne fans — it’s more likely that Momoa is doing some additional location shooting in Iceland. (Perhaps a post-credits tease for the 2018 Aquaman film? A visit to Superman’s frozen Fortress of Solitude?) An Icelandic tourism site posted earlier this year that the director Zack Snyder would be shooting in Djúpavík village, and photographer Jacie Davis, who has been sharing his Iceland vacation pics on Instagram, posted on Sunday that he accidentally stumbled upon the shoot at an abandoned herring factory. Meanwhile, the rest of the Justice League crew celebrated at Forge Bar in London, where they had a tower of champagne flutes and a photo booth with funny hats, just like at your best friend’s wedding. Probably not at your best friend’s wedding: cast members Ray Fisher (Cyborg) and Henry Cavill (Superman), who gamely took photos with crew members. Justice League opens in theaters on Nov. 17, 2017.